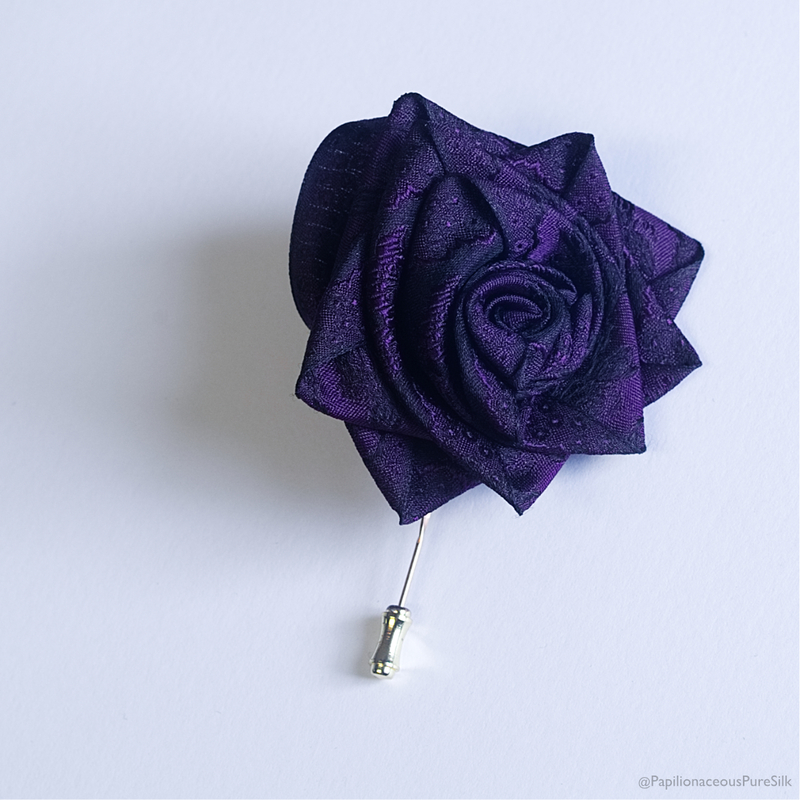 A Papilionaceous Petal Pin styled from our own purple jacquard silk ribbon mounted on a 9 ct gold stick pin. 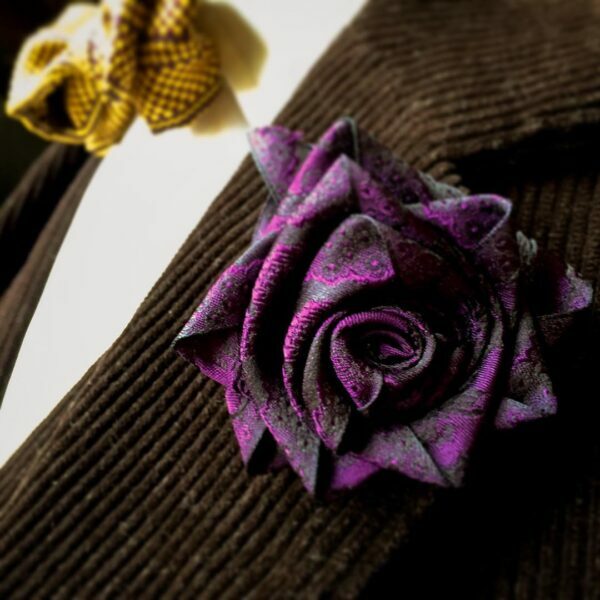 A more open flower shape than our rose bud it is mounted at right angles to the pin to sit flat against the lapel. 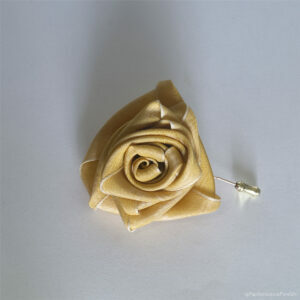 A perfect lapel pin for day or evening wear. Each unique flower is individually made by hand in our South Devon workshop and will vary slightly one from another. 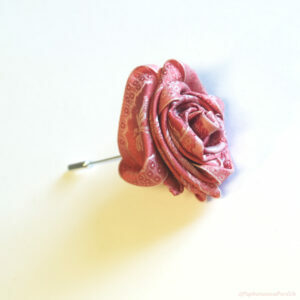 A perfect pin for day or evening wear.